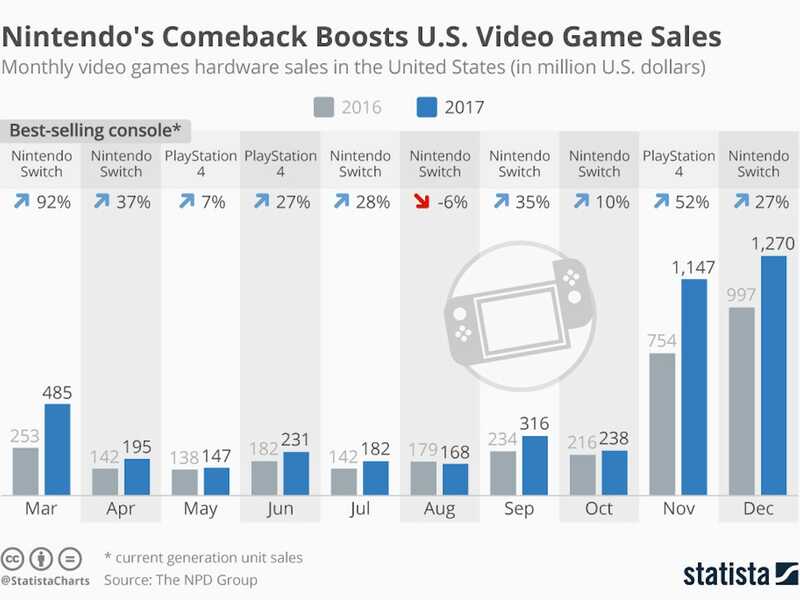 The Nintendo Switch had a great run in 2017. The Japanese video game giant sold nearly 3 million Switches the month it launched, wiping out all of the company’s stock. Nintendo has been doubling down on manufacturing ever since but is still struggling to keep up with demand. To date, the Switch is the fastest selling console ever in the US.